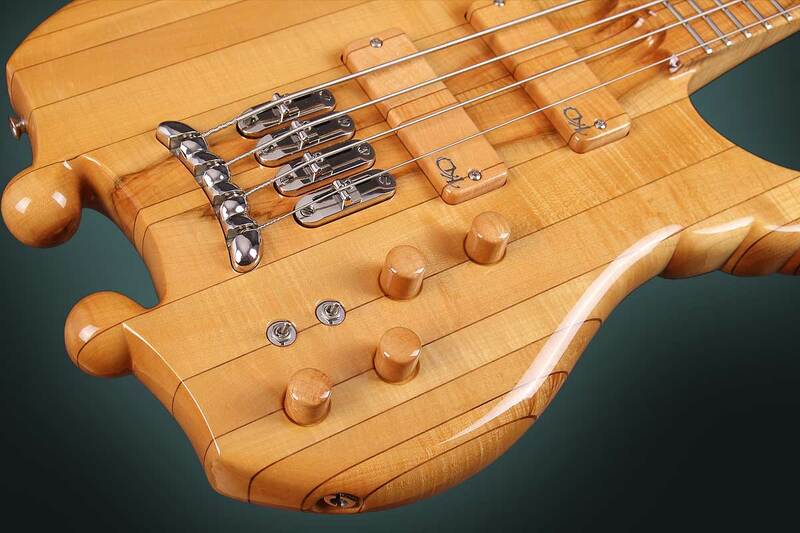 The inspiration behind the creation of this high-end bass was nature, and more specifically – life under the ocean. 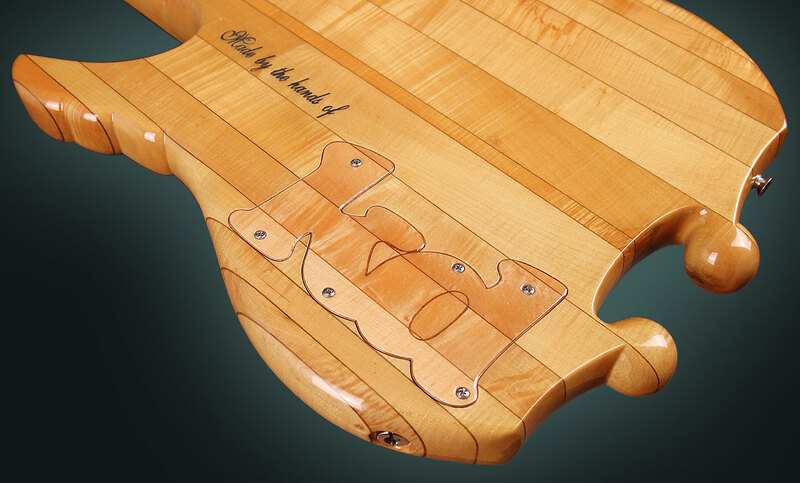 The giant Manta ray captured my attention with its elegant, kingly movement through the water, like a bird in the sky. 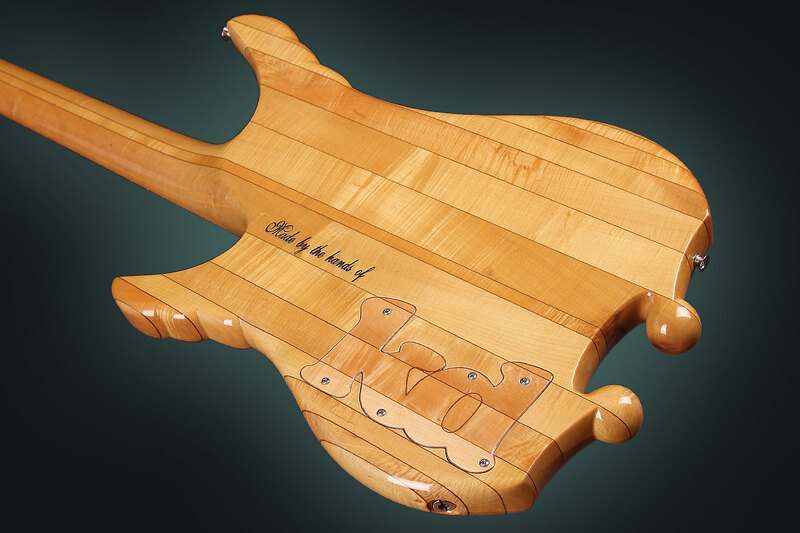 I was so attracted by its unusual shape that I applied it to a bass — and a new KD bass model was born. 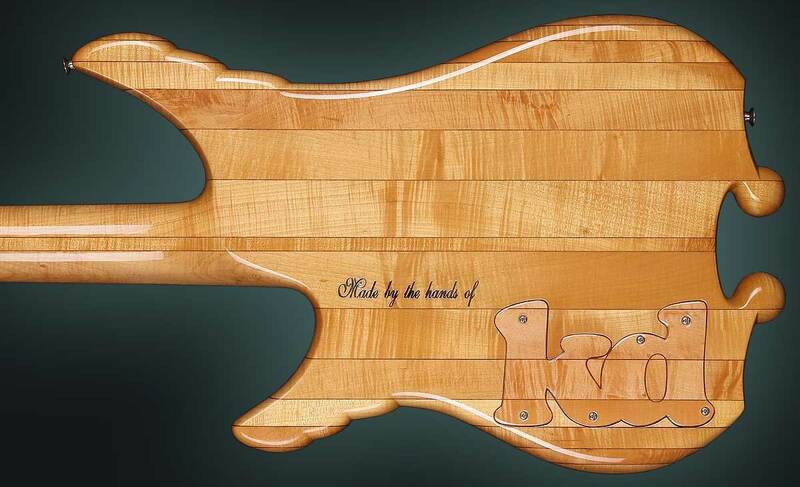 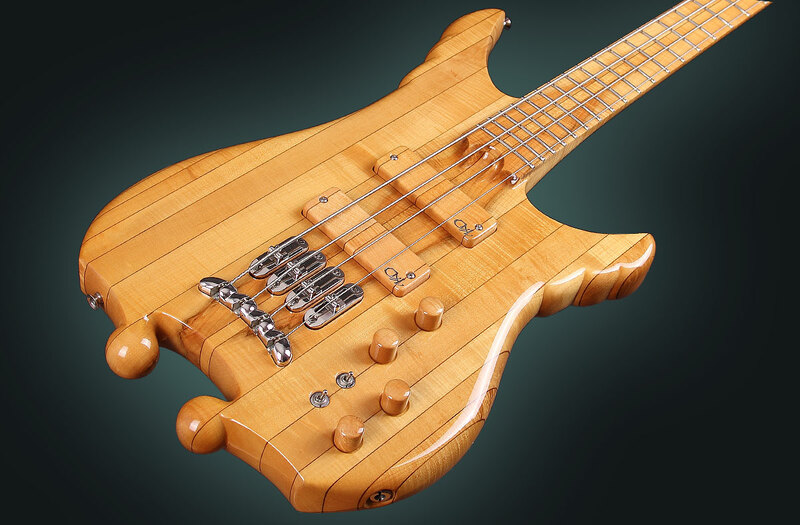 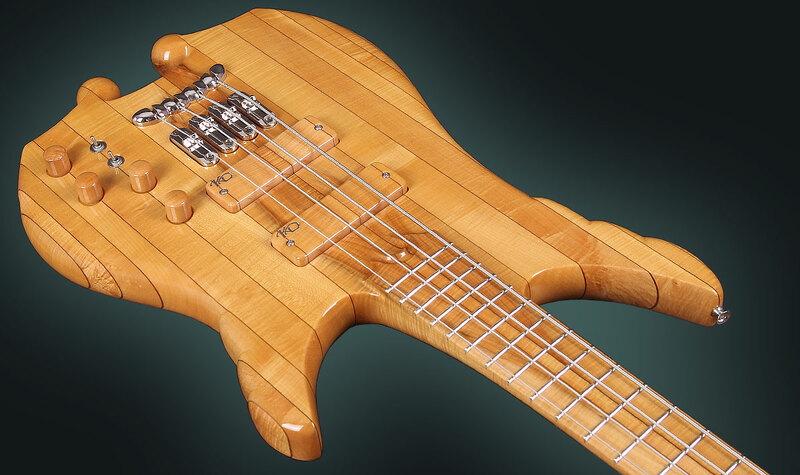 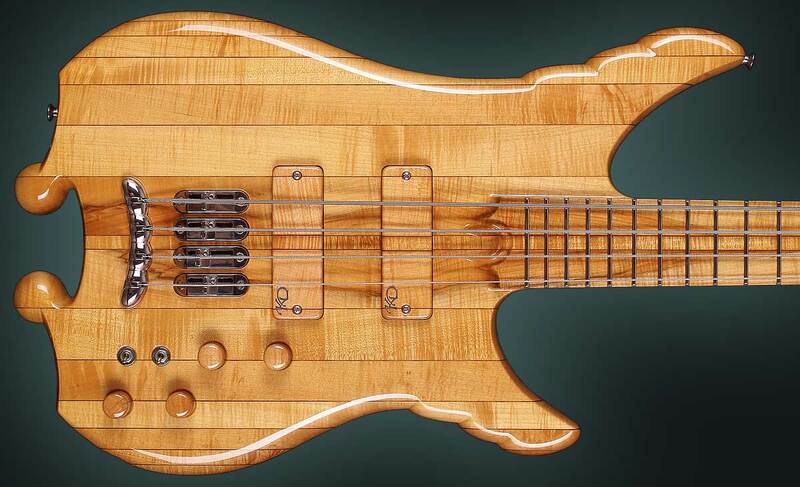 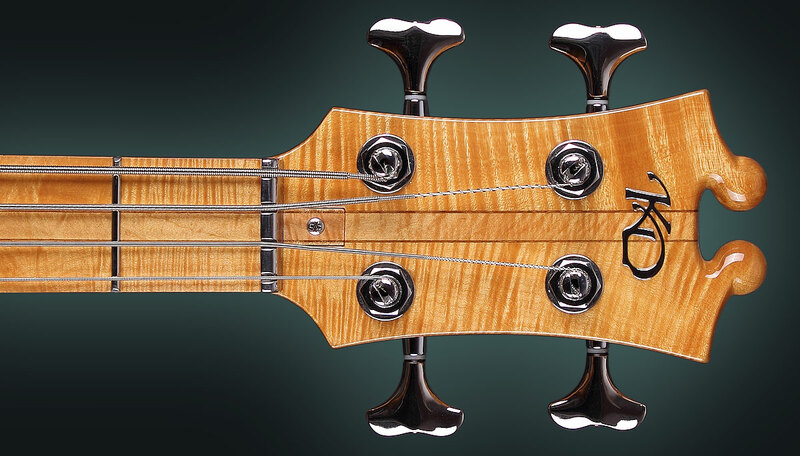 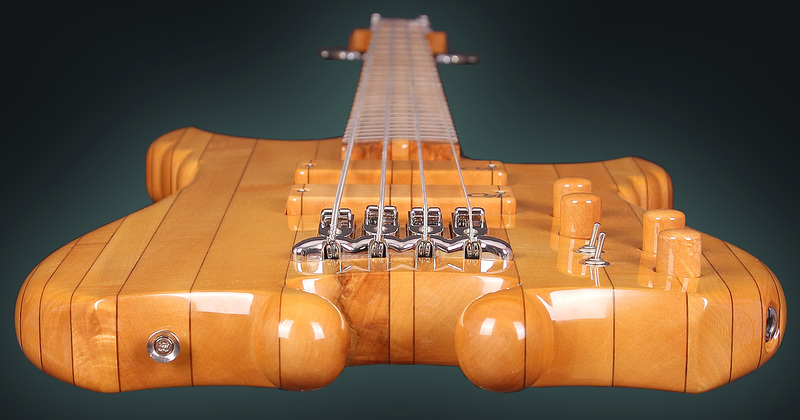 Body: The entire bass is made of flamed hard Maple which is taken from a single log. 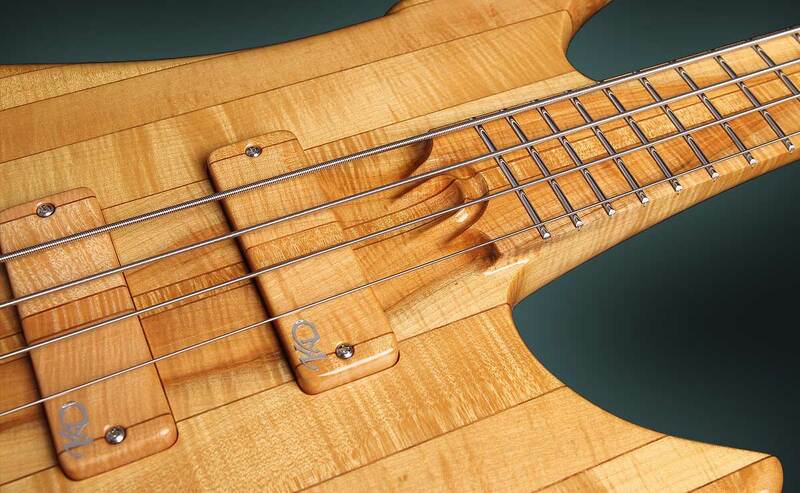 The wood that this tree provided was so beautiful and diverse in texture, that I decided to use every bit of it for this high-end bass. 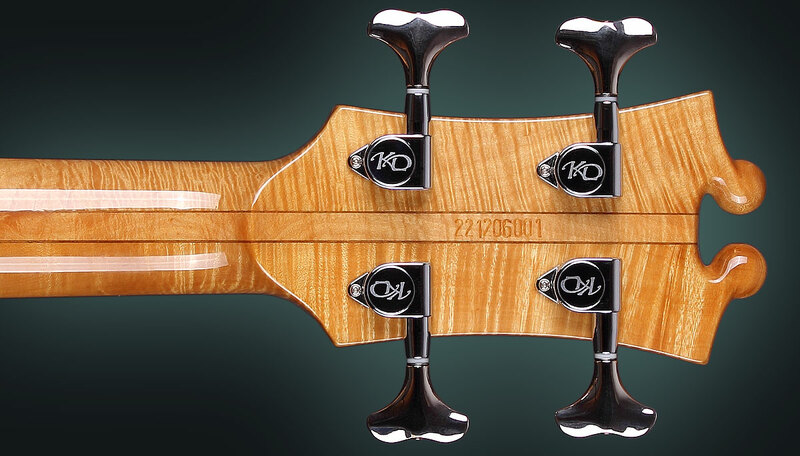 Lamination in the glue-joints is Walnut veneer. 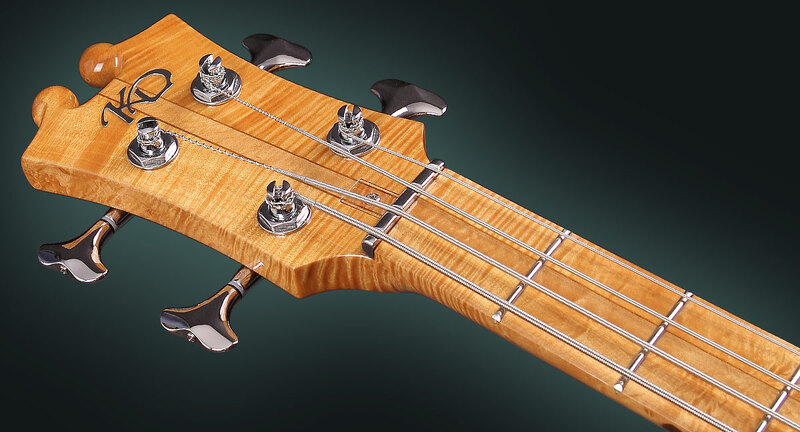 Neck: Three pieces flamed-spalted hard Maple, Walnut veneer for lamination. 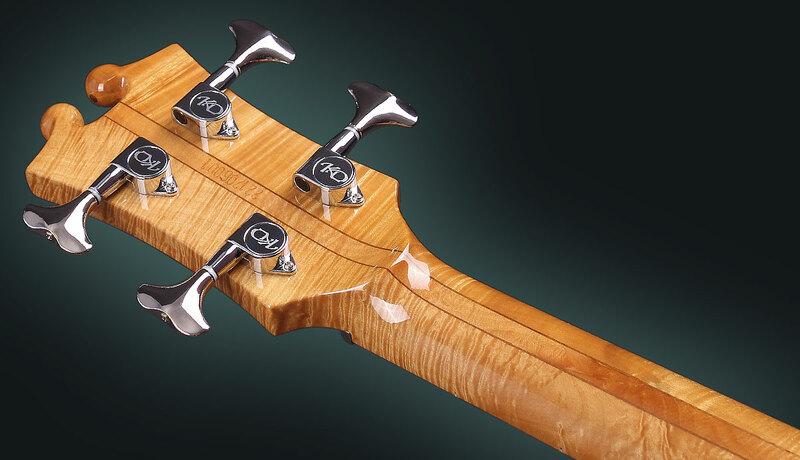 Side position marks – black dots 2mm.